VR Events are events that occur within the Player Room. They are compatible with PlayStation®VR, so please follow the instructions when the event begins. 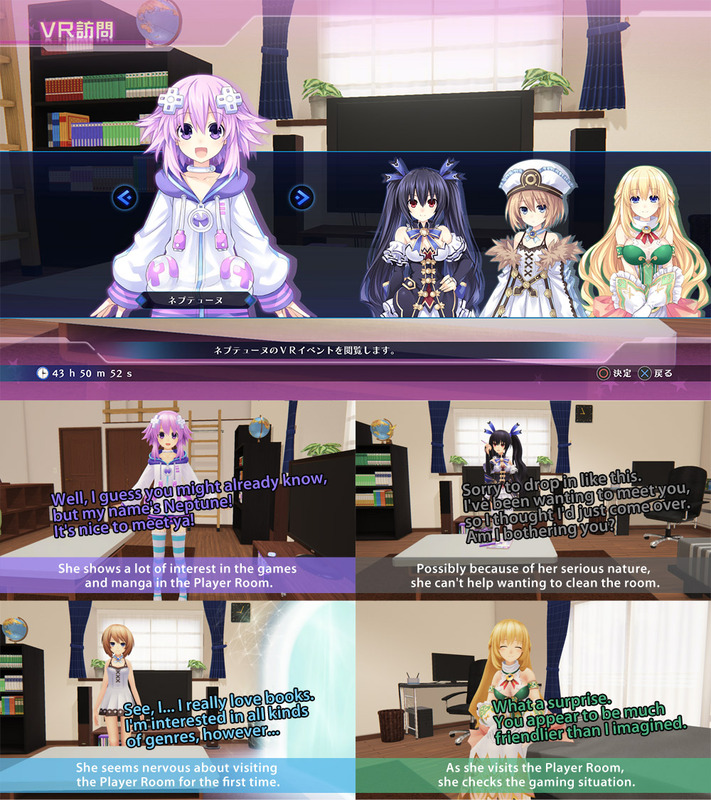 Within VR Visits, you can select events from the four Goddesses (Neptune, Noire, Blanc, and Vert). 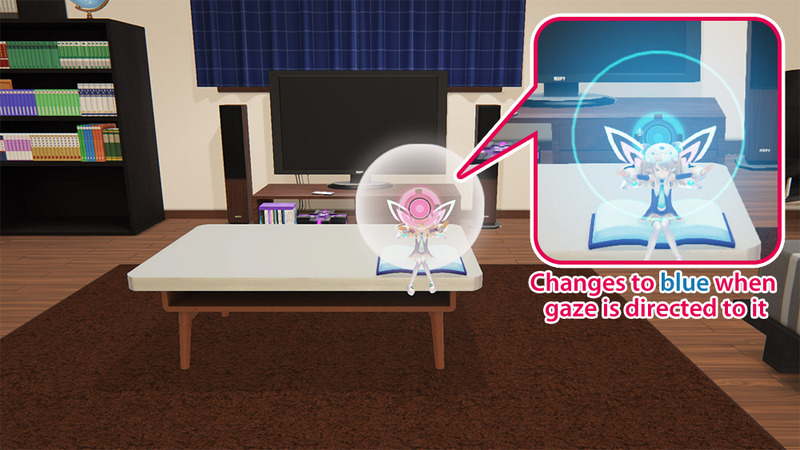 VR Events you've already experienced can be seen again in "VR Visits," or within Events in "Memories" from the Player Room. ※ When playing in VR Mode: Please put on your PlayStation®VR headset. When playing in Monitor Mode: Please hold down the x button until the gauge is full. There are times during a VR Event when an "Attention Marker" will be displayed. By either looking towards or away from the Attention Marker, the character's reactions will change. 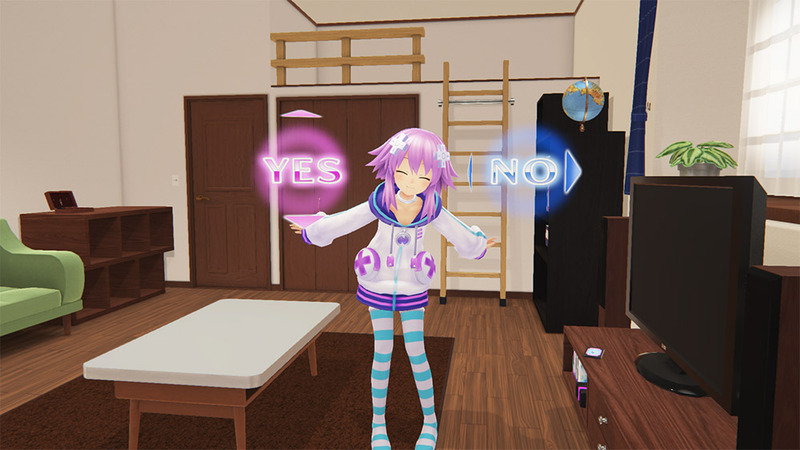 When a character is asking the Player a question, a [YES/NO] interface will be displayed. If responding Yes, nod your head up and down. If responding No, shake your head left and right.